Discovering a monumental collaboration, more heavy riffs from the Algerian desert, and a return to form for one of hip hop’s most prevalent names, Getintothis’ Matthew Wood arrives with another handful of the best new music. Having recently signed to Rocket Recordings, MIEN have announced their debut self-titled record, due for release April 6. 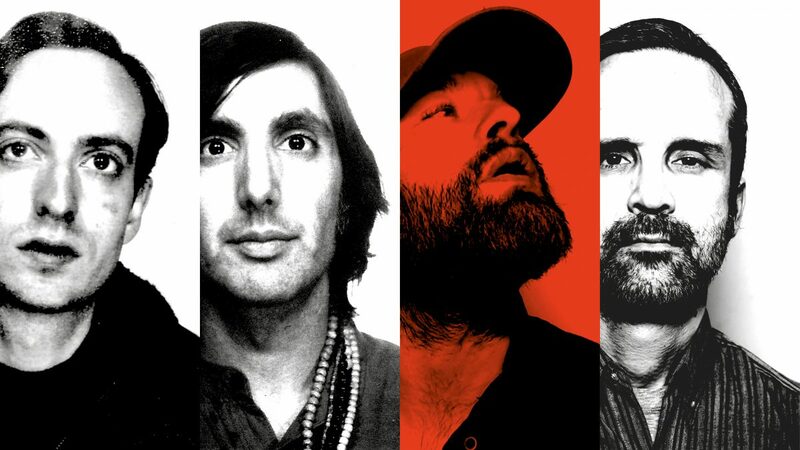 This record marks the creative collaboration of some familiar faces in the mainstream world of psychedelia; leading the pack on vocals is Alex Maas of The Black Angels, who is joined by The Horrors synth player and programming genius, Tom Furse, Elephant Stone’s Rishi Dhir and John-Mark Lapham of The Earlies. Black Habit does indeed recall The Horrors, that initial meaty bass is ripped straight from their Sheena Is A Parasite, with Furse’s devilish synths. Maas’s breathy, unsettled vocals recall that of The Moonlandingz, shot through with a sinister, intoxicating venom. One of two releases from Julian Casablancas and his troop of Voidz and their forthcoming new record, Virtue, to be released on March 30 on Cult Records. Leave It In My Dreams is pretty conventional as The Voidz go, a twinkling lick opens the track before those signature crunchy drums bounce into life. If Casablancas has shown signs of his vocal capacity failing him on odd live occasion, this hasn’t prevented him from letting his falsetto become a prevalent as the baritone that shot him to rock & roll stardom. His latest lyrical ventures often touch on themes of philosophy and his love of an expanding wisdom, which I’m sure we’ll hear more of on the record, but here his lyrics are far from cryptic. ‘Tired to wake so early/Get up in the mornin; it just hurts‘ he croons for the chorus, lyrically only fussed about getting on with the day; his vocal range now stealing the show. A hugely important band that sadly haven’t garnered the recognition they deserve, yet. Disgraced In America, the latest from the Montreal quartet sees frontman Tim Darcy at his ultimate best, and his fellow band mates expanding on the gritty, jarring qualities of Sun Coming Down. Each line Darcy delivers flows seamlessly into the next, fluent and catchy, he’s upped his vocal game to new heights, utilising that versatile baritone to a great extent. The latter half of the track is Ought at their more experimental, crisp, tight hi-hats rattle in uniform as we veer down a darkened, more chaotic path than the one we glimpsed at first. With an immense versatility Ought could take their sound wherever they like, but if Disgraced In America is anything to go by, this could be the record that ought to do the job for this talented band. A return for Algerian Tuareg desert rock six-piece, Imarhan draw on their influences closer to home, often blending African rhythms with conventional Wester pop traits. Their latest even fuses elements of disco, once again chock full of myriad guitar tones and techniques from the large, thick stadium tour riffs to the finer, more intricate textures and Nile Rodgers-esque chord hammering. Stephanie Sokolinski aka SoKo puts her raw heart and soul into her cover of Yves Simon’s, Diabolo Menthe, an atmospheric number in which memories of her former lovers surround her exposed, vulnerable self. She teamed up with Sundance Film Festival Award Winner, Drake Doremus, director of Like Crazy and Douchebag, to help direct the moving, nostalgic video, in which she returns to her former place of residence, a place where she could really connect with previous versions of herself. Ambient composer Bob Holyroyd has worked alongside the likes of Four Tet and Mogwai, his dreamy, atmospheric work earning him plaudits globally. Inner Mind Sigh is as the title suggest, largely introspective; a repeated piano motif tip toes throughout, growing with urgency and intensity as it progresses, with a warming fuzz gently burning in the background, allowing your ears to latch onto the euphoric textures. Need a couple of minutes to recharge? Look no further. It’s two years since UMO released an original track and their announcment of a world tour comes accompanied by this blistering track, American Guilt. A gargantuan riff, meaty and buzzing with a dark fuzz is one way to reopen your account, rattling percussion disjointedly joins the melee before settling into a QUOTSA-esque groove, Ruban Nielson marking it distinctly as his own with his wild yelps and howls. Unknown Mortal Orchestra play Manchester’s Strange Waves, May 26. A much needed return to form for Black Eyed Peas, swerving those ‘party’ anthems that we had to put up with from The E.N.D and The Beginning, and instead made a round trip back to the L.A. projects for what feels like a homecoming. Poignant images of monumental figures in black history are brought to life by Will.i.am’s raw delivery, after their last album and his residence on the voice, it was almost as if all that was credible had escaped the 42 year old, yet here he is, profound and heartfelt, and rapping about that close to his heart. Let’s pray for more of this and less of the auto-tune, and we might have another Elephunk to dive into.